I’m just back from the Australian Goddess Conference held in Sydney this month, where I gave two presentations – following is an excerpt from the second one. of writing up the results of this research and it will be produced and available soon. The findings are ‘not pretty’, it’s actually a very sad picture, especially for young women, and it is a ‘call to action’, with an ‘or else’ importance to that. Included in this report will be recommendations for schools, workplaces, and institutions where girls and women spend much of their time. The most significant piece to the whole story for me is that we now have the research, the evidence, for the first time, of just how messed up we are as a culture in terms of the dominant beliefs and mindset around menstruation and menopause, and what that looks like in terms of the individual’s experience. We all know this has to change and it is, slowly, and seemingly quickly sometimes too. But, not a moment too soon, because the menstrual taboo and the resulting attitudes and behaviours are effecting everyone and everything extremely negatively. As I said, the menstrual taboo is an organising principle of the oppression of women, and, this can change, actually in one generation. 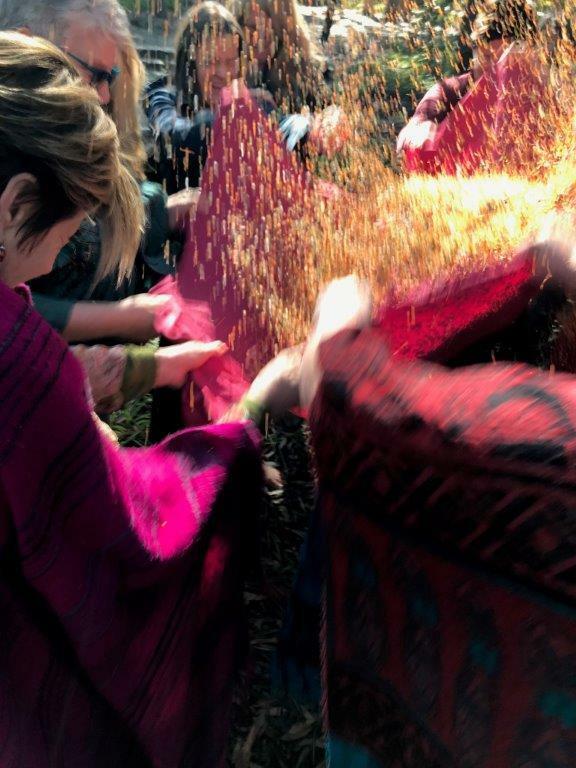 Following this presentation at the Australian Goddess Conference, the women together crafted a spell to give thanks for the people doing the work, to support and encourage them and to call forth a future without menstrual shame for all our relations.